The LAB was an interesting addition, that at the time offered some extra sources for items and BIOS conversions. With the introduction of other game mechanics some of the features have lost their usefulness. This produces anti-matter that is used for Warp Device mission and Hero gear leveling rank 15+. While Warp Device missions aren't critical, if you want to level your heroes gears' past 15 this device is a must. I personally do not see the need to rank it past LV9, as this will produce 453 per 30 mins, with a temp store of 5440 and a permanent storage of 540300. This will allow you to level your heroes with worrying and run some Warp Device missions. This allows 3 of your heroes [at a time] to run a mission that will earn them XP and also reward you with a BIOS [rare missions reward 1+2 BIOS]. As an XP leveling tool, it's quite useless and it's a method of gaining random BIOS for the cost of Anti-Matter and time. As you level you gain access to more missions, and they cost more to run and reward more XP but still only reward primarily 1 BIOS. You can level this one as much as you like, but I suggest nothing over LV8, this will allow you to have a decent amount of missions to run that are not too expensive to run. I personally only run up to Lv 24 missions these cost 2150 Anti-Matter to run. Which you can replenish during a normal daily cycles of the Anti-Matter Generator, and leave you enough for heor gear leveling. Gives you 8 BIOS of random heroes. This gives you access to an item shop that sells various materials and BIOS, at expensive rates. I personally wouldn't level past Lv7, but no harm in doing so. Gives you more options for sales. 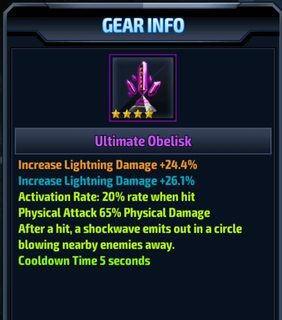 I recommend getting all GUK and 2*+ Custom Gear items, as these are hard to source and always will be useful. BIOS can be gotten here, but the crystals required can be better spent elsewhere for greater return on investment. This was introduced to give people an option to turn two BIOS into a random other BIOS, it was changed to give you a select set but still random. 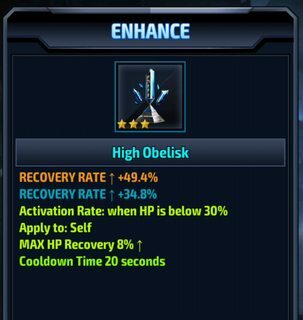 With the need for T2 heroes and BO characters requiring BIOS to level this has made this LAB item even more useless. I recommend not even leveling this, until you've leveled all BO characters or so flush with BIOS you can waste a 2-1 ratio. Which I'm sure most general players wont be in that area. I'm happy to hear of any other use for this LAB item though. Not all games will have a dedicated section, but hopefully a list here of current [past] games with an Omega Syndicate presence. [inactive] = Guild still exists, but limited or no support. * no in game guild/clan functionality. Random can be a cruel mistress at times, and costly. I'm hoping to post a thread on best minimum starting stats to both upgrading and some good stats to aim for, for specific characters. I'll post some nice ones I have and what can be achieved. This is one of those great self for-filling obelisk, with a double HP boost and then a self generating HP event it means you have self healing capabilities on any character. So couple with one that heals themselves for added boost or on another character than can't heal but will benefit with survivability. 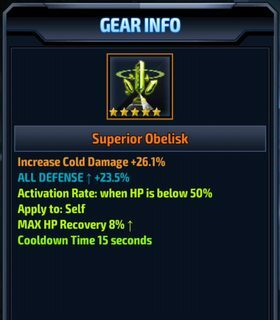 It would be better if it trigger at 50% and a lower cool-down, but it's only a 3* obelisk. I'd be hesitant to upgrade this and loose a great combo. I've not equipped this on anyone yet, still deciding. This one is a little overkill for who I have it on, Floki, but it adds to cold damage and overall defense. I had an old school 50% cold boost, but when they changed over stupidly used it to make an obelisk before I knew that was a silly mistake. The ability to heal every 8 seconds, once hit 50% heal means she is very hard to kill via shield and this heal boost. With any slow damage like bleed, triggering the heal to counter the loss of HP. Only killer is burst high DPS, which is only the issue in World Boss. I've added new details and updated the table to include maximum bonus for each area for Level 60 characters.